Stanley Birnbaum practiced in California before moving to Sandpoint in 2011. He focused on real estate and has substantial experience in commercial leasing, financings, mergers and acquisitions and mortgage banking. He is a graduate of the University of Texas School of Law. He also holds a Bachelor’s Degree in Engineering and a Master’s Degree in Engineering from the University of Pennsylvania. Prior to attending law school he developed software for mainframe computers in the aerospace industry in California. 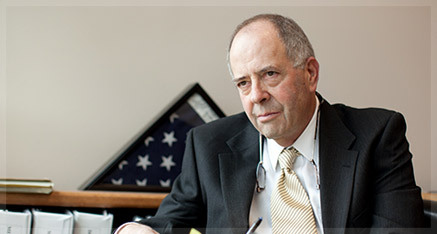 Stan began his legal career as an Associate with Perkins, Coie in Seattle, Washington. In California, he joined Steefel, Levitt and Weiss in San Francisco and became a partner in that firm in 1980. Stan was Corporate Counsel for North American Mortgage Company, then a large independent residential mortgage banking company, which is now a part of J.P. Morgan Chase & Co.Stan represented Citibank, including the Bank’s participation in one of Kohlberg, Kravis and Roberts first leveraged buyouts. He was the draftsman and negotiator of the first Nordstrom lease in Northern California and represented the owner of a United States Football League team when the team was sold. He has substantial experience in securities law and also in software licensing. Stan grew up in Brooklyn, New York and has been spending time in Sandpoint since 2001. He bought a home here in 2009. Stan has a grown daughter who lives in Santa Monica, California. An avid skier and swimmer, Stan is an enthusiastic movie goer and reader. Stan collects fountain pens and shaving brushes and hopes to be a grandpa someday.